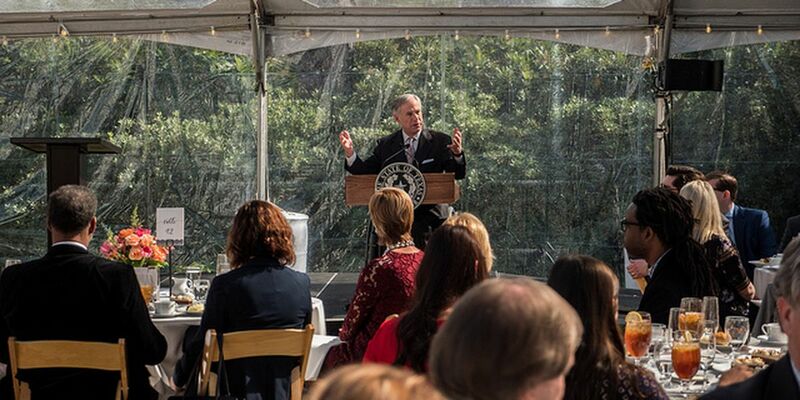 Governor Greg Abbott today delivered remarks at the Texas Women’s Hall Of Fame Luncheon, hosted by the Texas Governor’s Commission for Women at the Governor’s Mansion, where he recognized the 2018 Hall of Fame honorees. AUSTIN, TX (KLTV) - Seven women were recognized Thursday during a luncheon for the 2018 Women’s Hall of Fame honorees. The event was held at the Governor’s Mansion. Texas Gov. Greg Abbott thanked the honorees for their contributions to the state. Following his comments, the governor and First Lady Cecilia Abbott inducted the women into the hall of fame.